DONATE TO REWRITE A STORY. When I was 20 and living in Eastern Europe, someone I thought was my friend told me I could earn £2000 a month working in a factory in the UK. I accepted the job straight away. There was no hope for me in my country. Things were bad in my life; I had made a few mistakes and was looking for a way out and a new start. So I thought I had nothing to lose. I was wrong. After two days of driving, I arrived in the UK with three other men. As soon as we got to the house, one of the men took my passport. From then on, we were not allowed out. We were kept as prisoners and physically threatened. For five months I was forced to work for no more than £5 a week in different places; a pizza parlour, chicken factory, selling mobile phones and distributing flyers. I was forced to steal petrol and scrap metal and made to open false bank accounts in my name. I was afraid to escape as I thought that the police would deport me because I had no ID. It was awful. At times I felt suicidal. Over time the men started to watch us less, and one night we overheard them speaking about transferring us to another area to work for other people. My heart sank. What was going to happen next? I couldn’t take it anymore and the others agreed. We had to get out. We jumped out of a window and ran to the police who took us to a City Hearts Safe House. From the moment I arrived, I felt they cared and believed in me. At first I was just so angry at the men who had done this to me and wanted to see them punished. The City Hearts staff stood by me as I relived my experience to the police. They never left my side through the whole process. I felt so supported. I was assisted in closing the fraudulent accounts I had been forced to open, helped in clearing my record, and was aided in sorting out my teeth as they needed urgent attention. I also got a chance to go to English classes. I feel so much more confident now when I meet and talk to new people. I can attend appointments on my own, and can even help my new friends with the things I have learnt at City Hearts. My whole outlook has changed. I now look at people with love and I want to build a life that I can invite my family to be a part of again. 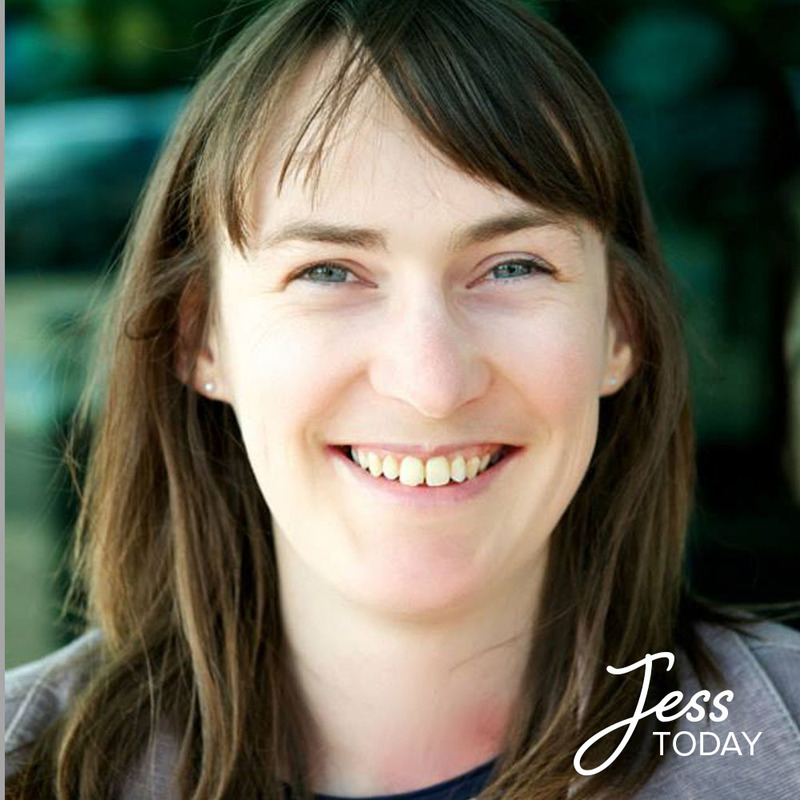 Jess in 2005 and Jess today. We were living in America when my mum got ill. Due to her treatment she couldn’t leave the country so when we returned to the UK, this meant I didn’t see her for over 3 years. It made me confused and angry and I became difficult to live with. I started to artificially control my life through my eating habits. 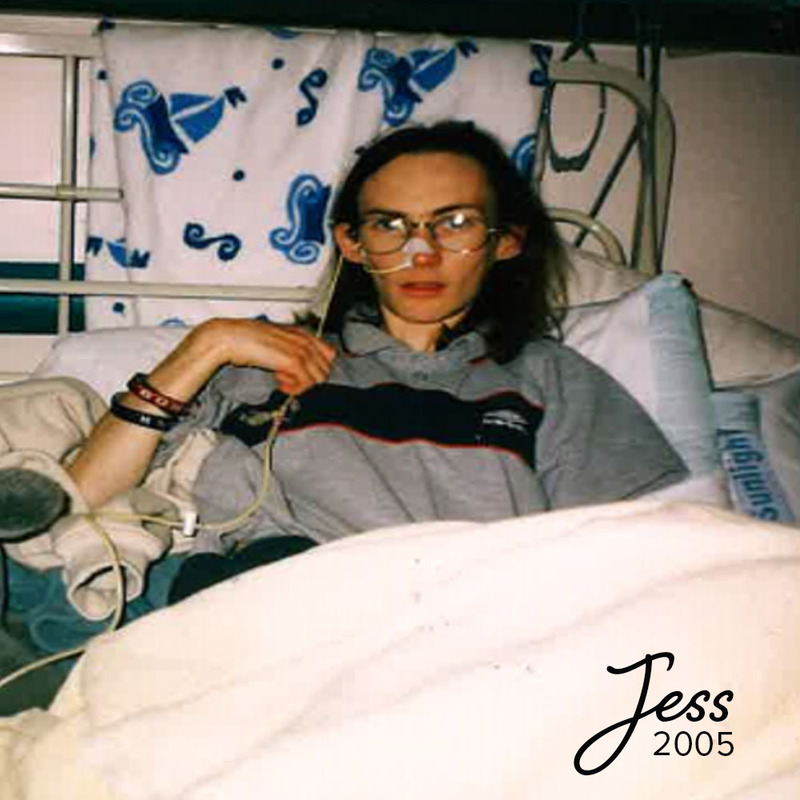 Between the ages of 16 and 28 I was admitted to hospital ten times for treatment of severe weight loss and depression. Four times my parents were told to prepare for my death and I’d been encouraged to plan my own funeral. Because of all the damage I’d done to my body, I had osteoporosis in my legs and back. Doctors told me if I lived to 30 I’d probably be in a wheelchair. A few years earlier, I had been diagnosed with OCD and my life was controlled by routines. I couldn’t see an escape from the battles in my mind, locking me into a severely ordered life. At my lowest point, I weighed less than four stone. I desperately wanted to gain weight but the rules in my head controlled my every move. In 2010, I had exhausted every service the NHS had to offer and came to City Hearts. There I found staff who cared about me and genuinely wanted to see me succeed. I was met with hope – they saw me as a person not an illness. Patiently and gently the staff helped me break controlling routines. It wasn’t easy, and long suppressed memories of sexual abuse rose to the surface resulting in flashbacks and nightmares. I cried a lot, but they literally loved me back to life. I found freedom from my greatest fears and, after 14 months on the Restore programme, I graduated. I now have a wonderful relationship with my family, and my mum is one of my best friends. Physically I am stronger that I’ve even been and I’m a real foodie who loves to bake. Best of all, I’m now a full time staff member for City Hearts. 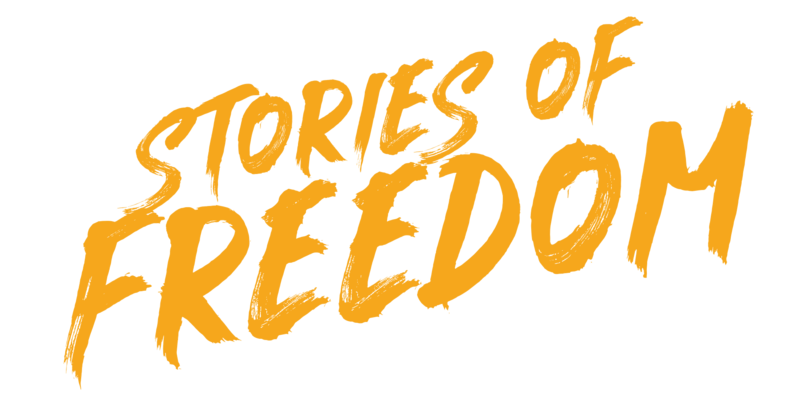 Being able to work for the very organisation that saved my life and help others discover freedom from their own fears is the most wonderful gift I could ever have been given. I was born in Nigeria and growing up, I was told that I was cursed. My life was regularly threatened. One day, after my father had died, my step mother poisoned and killed our neighbour’s dog. She said that she awould tell them I had done it, and that if I did not leave she would do the same to me. I ran away in fear of my life and became homeless, staying under counters in market stalls and eating rotten food. It was there I met a lady who took me in and looked after me. This was the first time I had experienced love and kindness. I spent my time cleaning the house of my new ‘Auntie’. She asked me about my hopes for the future and I said I’d like to become a doctor. She said she would help me and would take me to the UK for training. But before we left, she made me swear an oath that I would repay all the costs of the documents, travel and living when we arrived. I was taken to the North of England and the ‘repayments’ began. I was forced to sleep with men who regularly came to the house. I asked my Auntie when I would be able to start training to become a doctor, but she told me this was now my life. The house was comfortable, but this was added to my debt that I had to repay. On many occasions I became pregnant. When I did, my Auntie would give me strong medicines, along with a lot of alcohol and use a metal hanger to remove the foetus. This procedure was added to the debt I owed. I didn’t understand at the time how bad this situation was as my Auntie was the only person who had ever shown care and affection towards me. my two young children freezing and with no money for food. I had no choice but to secretly sleep with men to get enough money for food. We lived off Weetabix. Eventually we were thrown out of the house after the man realised what I was doing. It was then I was referred to City Hearts as a victim of human trafficking. When I arrived at the City Hearts safe house, I was in a dark place. I was confused and so used to anything good in life being part of a deal which would have to be repaid. I almost ran away as I could not comprehend the kindness; instead, I was expecting a repayment to be required at some point soon, or find out it was yet another trap. I have gone from survival and just getting through each day, to LIVING! I am living my life and I am full of hope! City Hearts have helped with reward charts and food taster sessions for my children. I am doing a childcare course, English and sewing classes and am surrounded by opportunity.